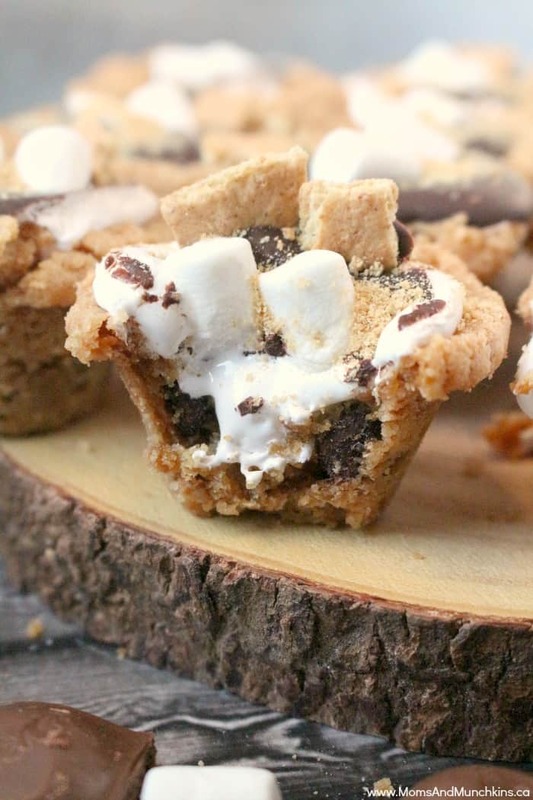 Camping season may be coming to an end but s’mores season runs all year long! 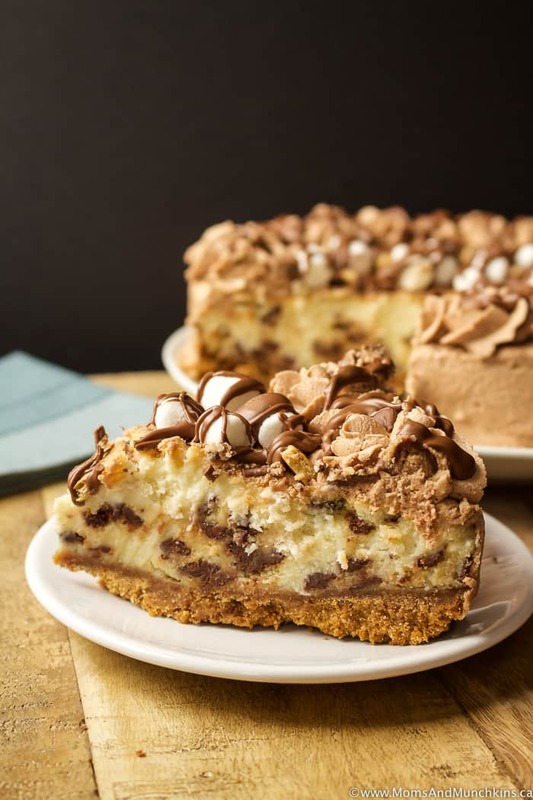 This S’mores Cheesecake is a delicious way to enjoy that graham cracker, marshmallow and chocolate combination without the campfire. Not quite as messy as eating a s’mores right off the campfire but just as delicious. When melting the chocolate for the frosting and topping, be sure to remove the bowl from the microwave every 30 seconds to stir the chocolate. You want this melted but not hot so don’t heat the chocolate for more than one minute total. 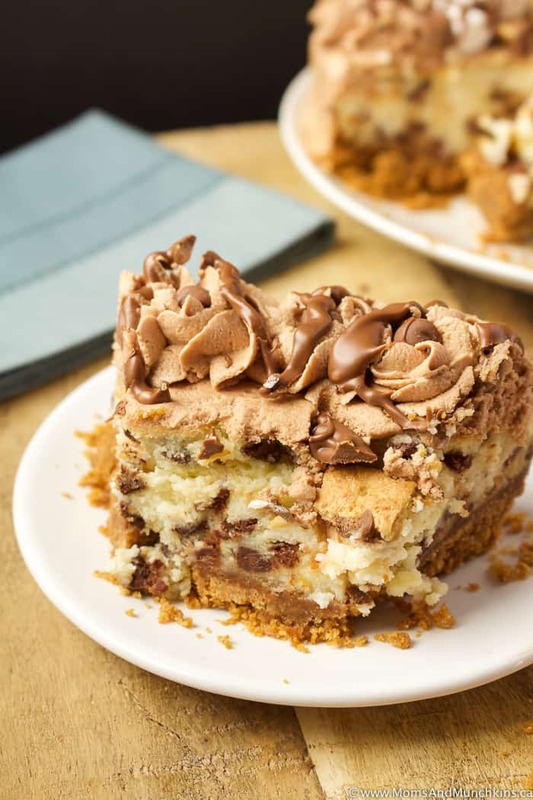 In a medium bowl, combine crust ingredients (butter, graham cracker crumbs and sugar) until well combined. Press into the bottom of a 9" round springform pan. Combine cream cheese and sugar in large bowl; beat with an electric mixer on low speed until smooth. Add eggs, one at a time, beating well after each addition and occasionally scraping side of bowl. Beat in sour cream, vanilla and flour. Add marshmallow fluff and beat until well combined. Pour batter over crust; smooth top. Bake until top is golden and center is set (no longer jiggling), about 60-70 minutes. Let cool on wire rack. Cover and refrigerate for at least 4 hours before removing from pan. In a large bowl, mix vegetable shortening, butter and vanilla until creamy. Beat in marshmallow fluff and confectioners sugar until well combined (about 5 minutes). In a microwave safe bowl, melt the chocolate in the microwave. Stir at 30 second intervals - you want this melted but not hot. Pour the melted chocolate into the icing mixture and beat until well combined. 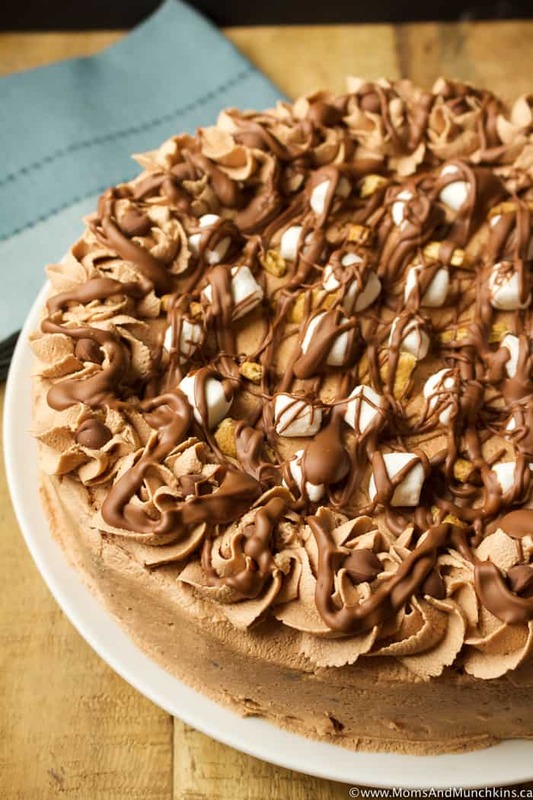 Top the cake with frosting, mini marshmallows, broken graham cracker pieces and drizzle more melted chocolate over it. 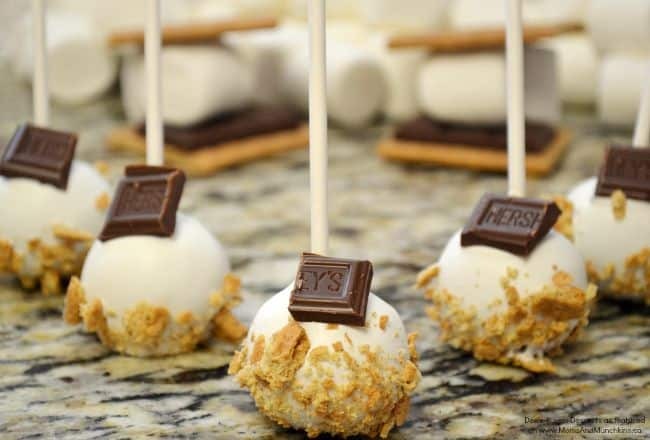 S’mores Cake Pops – by our talented cake pop creator Deanna! 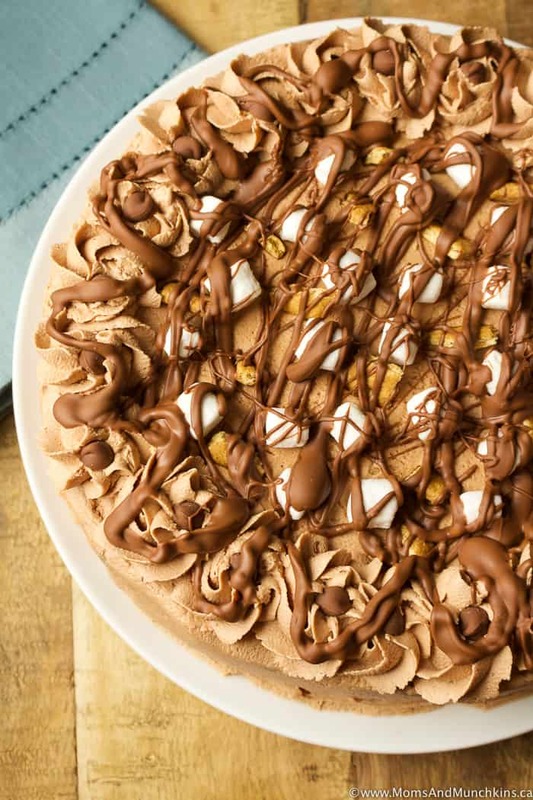 Visit our Recipes page for even more delicious ideas! Never miss an update by following us on Pinterest, Instagram, Facebook and Twitter.